#BFC530 is much more than a spark chat on Twitter. It is a community of educators who gather together each morning to share ideas, and, more importantly, to share their enthusiasm for education. Each time I participate I walk away marveling at how inspirational and invigorating this chat is. 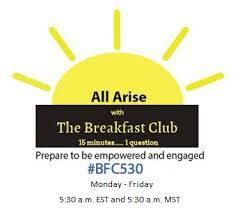 If you are an educator and have not yet attended #BFC530 I encourage you to give it a try – you won’t be disappointed! This past Friday, I had the opportunity to moderate this group. Our question was: How does your school engage readers and families in summer reading? For fifteen minutes educators from around the world exchanged ideas about how we can work to use our summer reading programs to encourage, foster, and build a love of reading, not mandate minutes. It was awesome to hear about all of the exciting things schools across the country are doing to encourage reading. At Ruggles, our summer reading committee is coming together next week to plan how our school will meet this goal. The list below, compiled from our #BFC530 chat yesterday, will surely be a kickoff to our brainstorming efforts! If you have any other ideas you want the committee to consider, please add a comment below. Stay tuned to hear more information about RLS 2015 Summer Readers are Leaders! Information and details will be published soon. Educators, if you aren’t following the below superstars, make sure you do! I appreciate their ideas and inspiration and I know you will as well! Happy summer reading everyone! Book Reviews (sparked by @pvhslmc): In the weeks leading up to the end of school, have each student (and teacher) write a book review about a book they really want to convince someone to read. During the summer, post one review a day on the school blog or Facebook page. Be sure to include a wide range of reading levels. Book Swap (sparked by @rharwood17, @marcihouseman and @boycem3): Students bring in ‘gently used’ books on Monday of the last week of school. They are categorized by level over the course of the week (student/parent volunteers?). On Friday, participating students get to ‘shop’ for a new book. Keep track of how many books students brought in – if they brought in two books, they get to shop for two books. Bookmark (sparked by @shighley): “Readers are Leaders” is written on one side. Let the kids decorate the bookmark during Reader’s Workshop. Students come up with individualized reading goals with their teachers to print on the other side. Bookmarks are laminated and passed out at the summer reading kick-off celebration. Include the dates of all summer reading activities on the bookmark. Partner reading day (Ms. V): Everybody brings in their favorite book they think others should read over the summer. Sharing activities take place in class and across the grade during the day. Students make a ‘wish list’ of the books they hear about throughout the day that they want to read over the summer. At the end of the day, younger grades partner with upper grades outside to share their books and their summer wish list. Popsicles are provided. Spirit Day (Mrs. Cranston): Everyone dresses like their favorite character from a book. Sharing activities take place in class, across the grade and across the school so that children can share their character and work to convince other readers to read their book this summer. Students make a wish list of the books they want to read. Bikes and Books (sparked by @laffinteach and @gduralek): Have families donate ‘gently used’ books before the end of the summer. Throughout the summer, choose different spots in town and have families bike to you. Each child who comes gets a new book and a popsicle. Book Bingo (sparked by @KellerSchool) : Hold a Book Bingo night event on the field. Entry ‘fee’ is three ‘gently used’ books. As you win ‘Bingo’ you get to pick a new book. Families could bring a picnic dinner and have dinner on the field, kids could play on the playground until Bingo starts. Book Clubs (sparked by @mschaefer17, @murphysmusings5 and @thatmathlady): Choose a book and hold meetings throughout the summer to meet and discuss. Book Reviews (sparked by @pvhslmc): Have kids (and teachers) write a book review of books they finish that they think other kids should read. 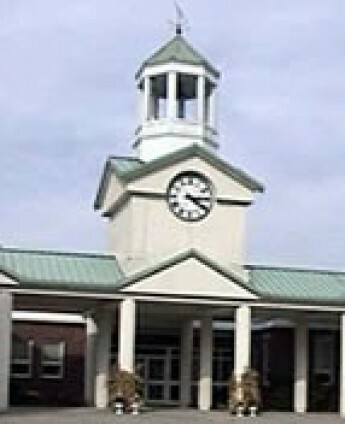 Reviews can be posted to the school’s blog or Facebook page. Book Swaps (sparked by @jaybilly2 and @laffinteach): Send students home with a book bag with books from the Book Room. Open the Book Room throughout the summer for children to exchange books. Combine Book Room hours with a picnic lunch on the playground and give out popsicles. Letter Writing (sparked by @jellyrace) : Students write letters to the school about books they are reading. Teacher volunteers write postcards back and suggest a new book title. Students love to get mail! Modeling (sparked by? ): Have teachers take a picture of the stack of books they plan to read over the summer. Put all of the pictures together in a slideshow and post to social media or share during your summer reading kick off. Principal’s Pajama Party (sparked by ? ): Invite kids to come in to school for a read-a-loud before bed. Gather in the library in pajamas and read a loud some books. Have a book swap during the event. When I was growing up, I vividly remember loving to escape into a good book. I would read everywhere – in the car, in the yard, in our treehouse, on my favorite chair, in my room and I especially loved reading with a flashlight after ‘lights out’ under the covers at summer camp! The love of reading I developed as a young girl was due in large part to the read alouds I experienced in elementary school. In 1st grade Miss Matrionni read to us James and the Giant Peach – to this day, every time I see the NYC skyline, I still remember her reading the part of the book when they get stuck on the Empire State Building! As elementary teachers, one of our goals is to instill a love of reading in the hearts and minds of our students. It was clear from our April Vacation Reading Challenge, that the teachers at RLS are succeeding at that goal! I was transported back to my fondest reading memories as a child with all of the pictures submitted. RLS students read a lot over vacation. They read with their pets, in tents, at restaurants, at the doctor’s office, while doing gymnastics and before bed! 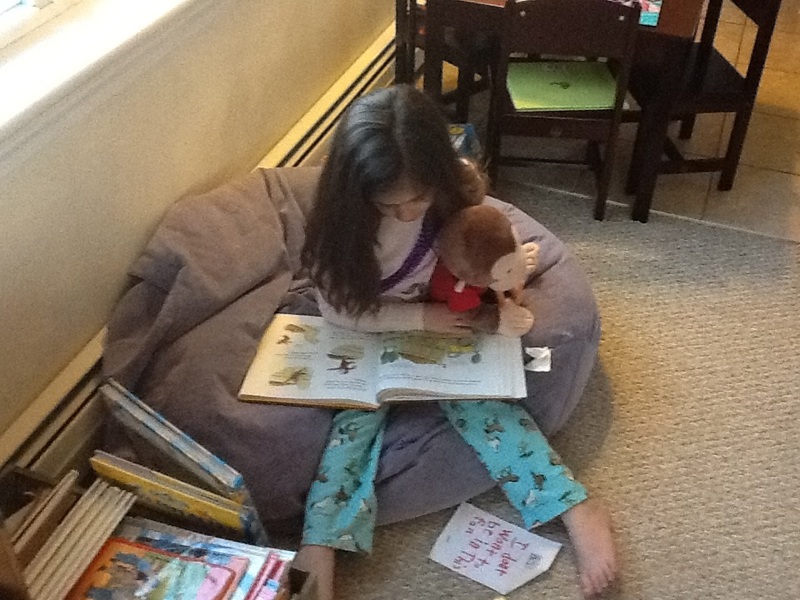 They read with siblings, to their moms, to their stuffies, waiting for the Boston Marathon, on planes and in hotels. Best of all though, they enjoyed many fabulous books and used their free times to escape into a good book! I really enjoyed this reading challenge and am looking forward to announcing the details of our summer reading challenge. If you have ideas you want to share with the group of teachers crafting those challenges, feel free to leave a comment below! Click here for the latest edition of the Barre Blast. 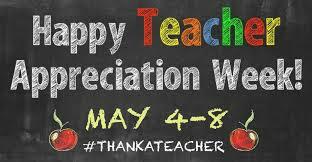 Did you know that tomorrow is National #ThankATeacher Day! How will you and your family participate? Read the Barre Blast for some ideas.